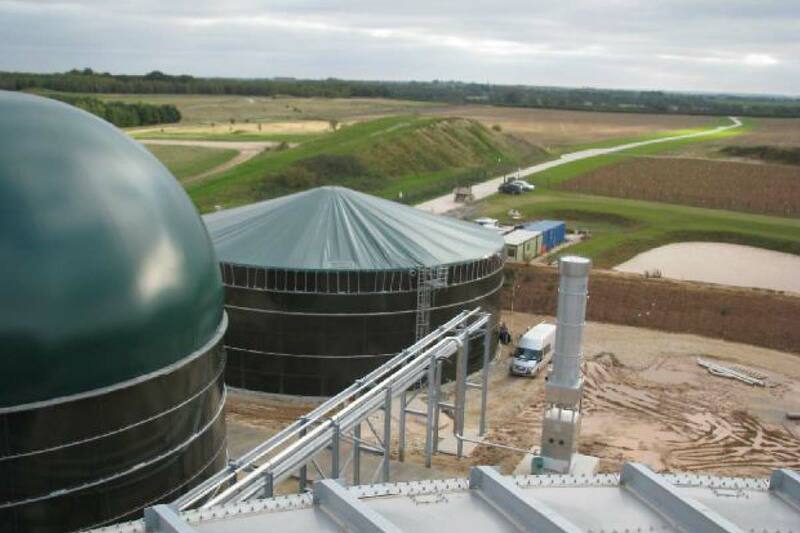 Alpha Plus were appointed as principal contract and mechanical installer for a new Biogas plant in Driffield. 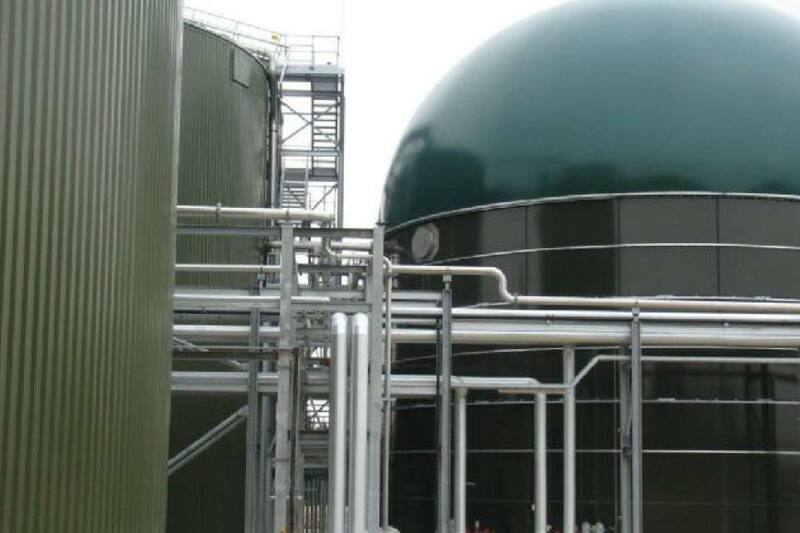 The plant had been designed by a German company, NES, and was to produce biogas from supermarket waste, providing enough power for 1000 homes. 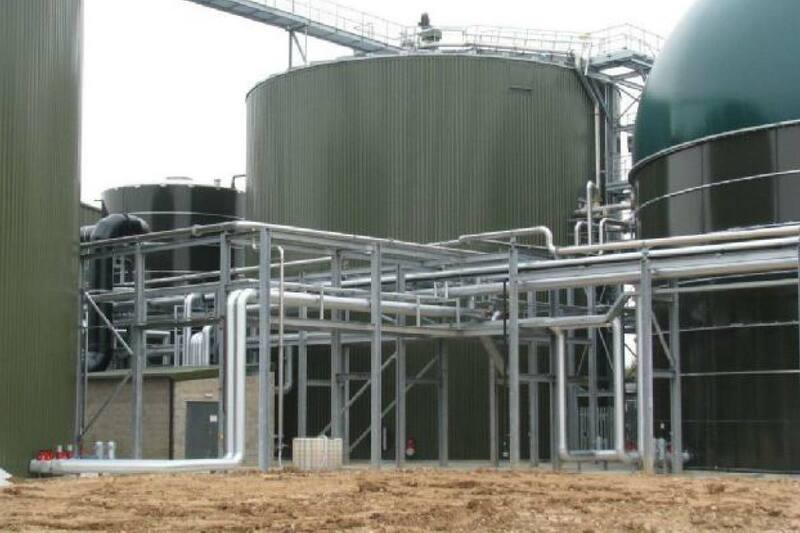 The works were to process 50,000T of waste per year via a new materials handling system, pasteurisation plant, digestion tanks, water recycling facility, odour control system and 2 No. CHP Generators. 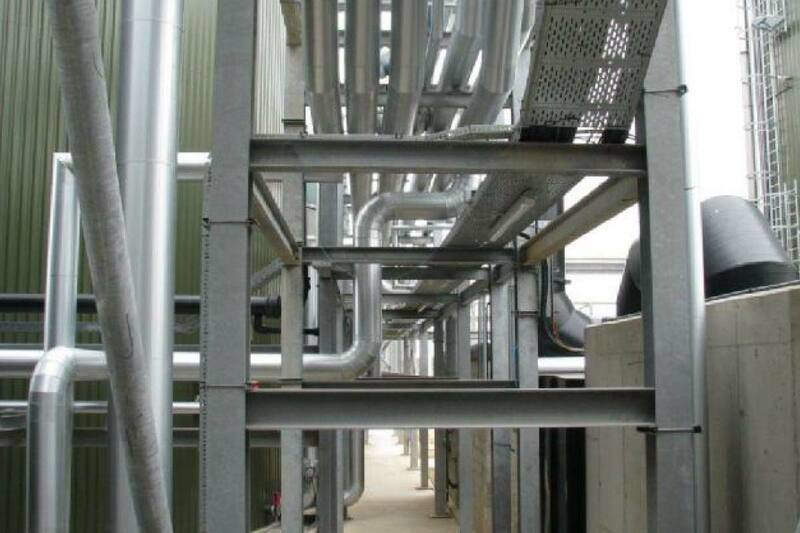 Alpha Plus were tasked with managing on its health and safety, design and manufacture of all onsite steelwork, installation of free issue mechanical equipment and fabrication/installation of all interconnecting pipework including insulation. 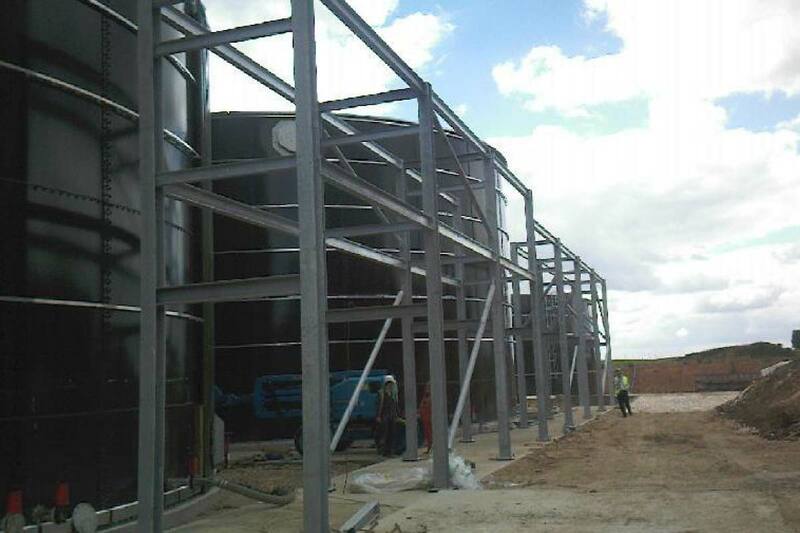 165T of steelwork was designed and installed as part of the contract. 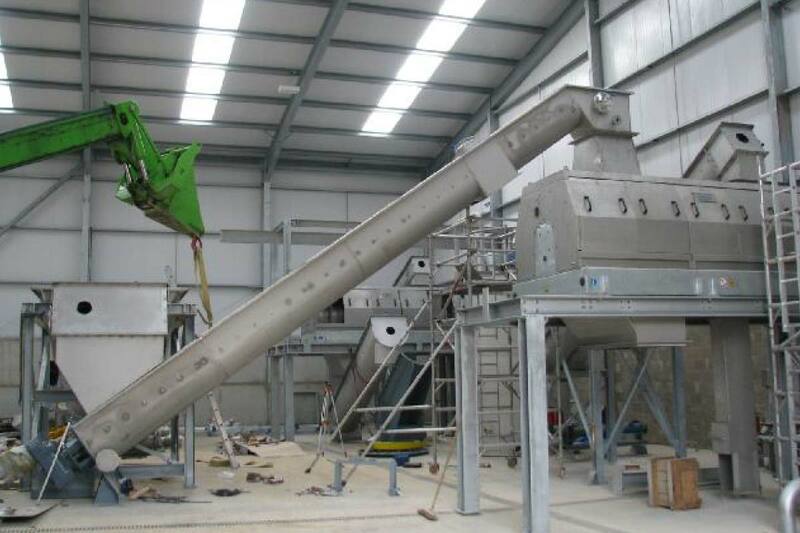 Steelwork was used to carry pipework, mount shredding, mixing equipment and to provide safe access around the works. Pipework for the plant consisted of Schedule 40 mild steel, Schedule 40 stainless steel, PVC, galvanised and large diameter HDPE odour control. 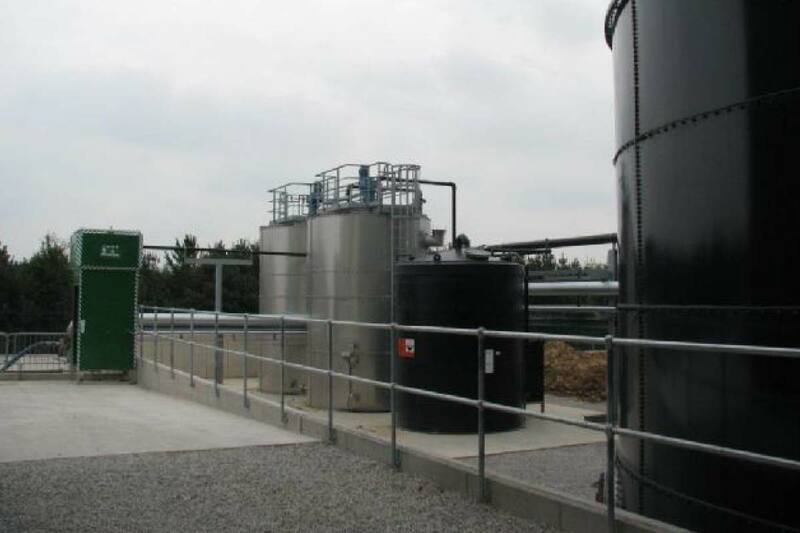 The type of substances be transferred were biogas (installed under gas safe conditions), acid, water, heating water, concentrate, drains and compressed air. All pipework was pressure tested on completion and full as built drawings were supplied on completion.